Working from crayons to Picasso. The art of the tunnel book. Learn how to make a tunnel book, it isn't as easy as it looks! 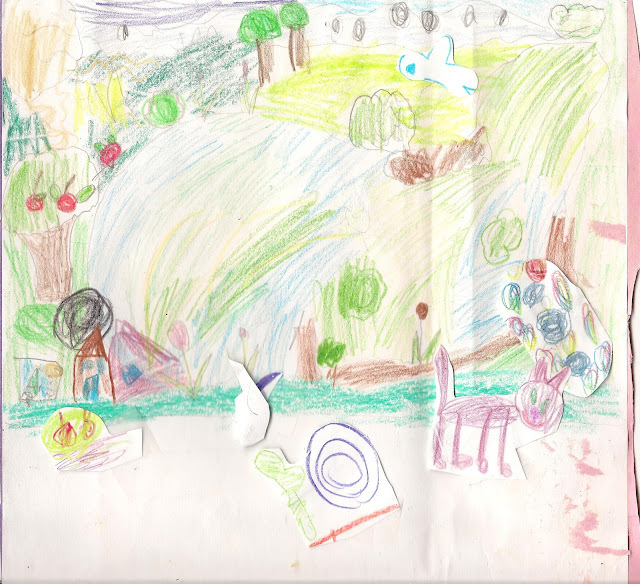 So, if you are following the story, you may remember we had a bad experience with an elementary art teacher. Might I just add- this occured at a 4 Star school. I'm pretty sure she has tenure. Oddly, outside of the classroom (at least with adults) she was very personable. If you haven't read it click here for Lesson One - Art Expression. The infamous Tunnel Art Book. Oh my! Even with my art and architecture background, I had difficulty following the instructions for this one. We watched a video, we looked at samples, and still it just wasn't clicking for me. Perhaps, I over complicated it. Well, my struggling Art-hater truly hated this one. If I couldn't explain it- why should he bother trying, right? So, we sat it aside for a day, and then a week, and then a little bit longer. I tried to make my own by cutting out a frame and gluing the sides together, but it was so much trouble. I refused to make another one, so we used it as the tunnel for Jake's book. Cut and pasted the important pieces so we can keep it in a scrapbook. 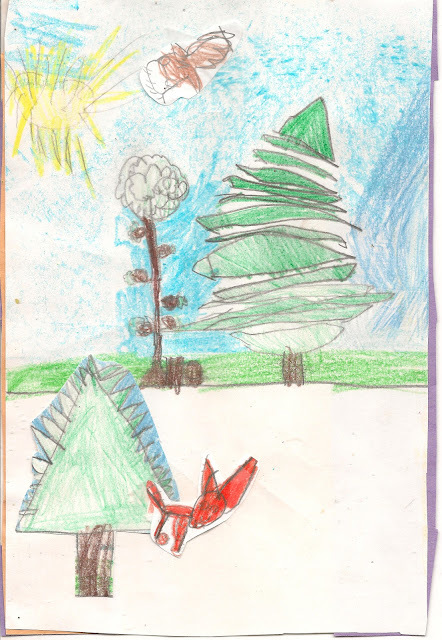 Turns out, I had NO IDEA what I was doing, but Jake drew some nice trees for the background even though he complained the entire time. When he finished, he complained some more, "Mine isn't as good as yours. Amanda's trees look better than mine. I cannot do this; I hate art!" So... apparently somewhere along the way, I missed am important step. The next day, the little one and I tried one last time. The sides are sheets of paper folded in half, and at the half way mark we glued (and taped) the frames for the tunnel effect. I scribbled some pictures, and she drew some beautiful creatures and a background, and we attached some to each interior frame. These did not stand on their own; and they are extremely flimsy, or our construction paper is just way too thin. Anyway, we tried our best, and that is what really counts- right? Hopefully, our failures will help you have a successful Tunnel Art Book. In two years, when the little one gets the same lesson; we'll refer back to this post and try with thicker paper. I'm thinking CARDBOARD sides. The Little's background and other fun items. 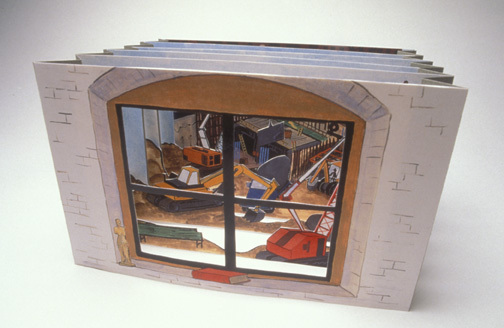 Here is a link to an entire site about tunnel books. Hope this helps spark your creativity! And... here is their closest example to the way our assignment was described. I love what art is teaching him! I love all the layering in this artwork! Great job! Ooooh tunnel books are cool. It is hard to keep young ones motivated. We have started getting the "I can't do it" or "You can do it better" and we try to persevere. you did a lovely job.